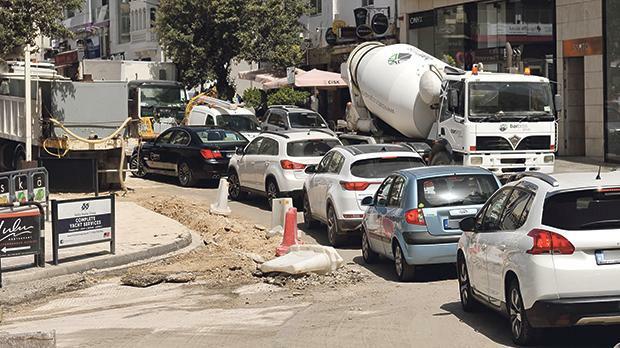 The transport watchdog failed to inform the St Julian’s local council that work on a major road in Paceville would start this week, resulting in long tailbacks and chaos as motorists struggled to make their way around the locality on Tuesday. Speaking to the Times of Malta on Tuesday, mayor Guido Dalli said that while the council was appreciative of the work, it was disappointed that Transport Malta had not informed it of the plans. “It’s good that the area is being resurfaced, we’re not complaining about that. But we expected to, at least, be officially informed about Transport Malta’s plans. That way we could have told residents about them,” Mr Dalli said. He said that when such work was in progress, the council usually sent letters to residents apologising for any inconvenience and giving them information. This could not be done this time, the mayor went on, since the council had only heard of the work through the grapevine. Several roads have already been dug up and are being resurfaced as part of a project that started earlier in the week. The job includes the upgrading of entry and exit roads. A Times of Malta reader said such was the lack of a warning that cars were parked on the roads that needed to be dug up. 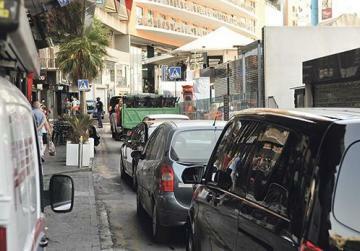 “There are no signs telling people their cars will be moved or they can’t park. Not that people check the Transport Malta website, but there doesn’t appear to be anything there either,” the irate reader said. One driver complained that motorists were heading into Paceville from St George’s Bay only to find the road there blocked and having to go back. Another driver said he got stuck in traffic for over an hour. Mr Dalli, the mayor, said he was also unaware of who was overseeing the work. “It could be Transport Malta but it could be some other entity. We just do not know anything because we were left completely in the dark on this,” he insisted. Questions sent to Transport Malta remained unanswered at the time of writing. The Malta Hotels and Restaurants Association yesterday called on the Building Regulation Office, the Ministry of Tourism and “other relevant public authorities” to enforce regulations to mitigate the nuisance and inconvenience created by construction sites during the summer months. “They should ensure that no excavation or demolition works are carried out across all tourism zones under the pretext of emergency works, other than when this it is absolutely inevitable,” the association said, appealing for a blanket prohibition between Friday and the end of September.